This week the sad news of the passing of Dr Wayne Dyer aged 75 years old was shared with the world. Wayne Dyer certainly was an inspirational character. I have consumed his messages endlessly through his numerous books, podcasts, videos and his movie ‘The Shift’. As I review this week, I wanted to acknowledge how this man influenced my path as he did so for so many others all over the world. Wayne Dyer lived a life of purpose and made his mark upon the world and leaves his mark on the world. Wayne Dyer had a difficult childhood with a violent father who left the family to survive on their own. Wayne teaches of forgiveness and how he forgave the hurt and pain caused by his father. In letting go, he was free to move on in his own life. Wayne Dyer grew up in foster care. It’s well known the outcomes for children who have been in the care system are not always positive but despite this he developed into a successful grounded individual – so not all foster care experiences are negative. Wayne Dyer’s best teachers and influencers in his life were his children. He tells the story about when he was in charge of caring for his children on a particular day. It was the morning and he was trying to get the children ready for school and egging them on. He was getting rather frazzled in the process. His daughter reminded him ‘I wonder what the world what think of Mr Perfect now’, in regard to his parenting. He has authored several books on the subject learning direct lessons from his own best teachers – our children. What is remarkable is that Wayne Dyer had been diagnosed with leukaemia but he did not die of this condition and according to the reports he had no leukaemia in his body when he died. ‘Whatever we are sent is what we need. He said there is nothing but perfection in life. Just accept where you are and follow what you are given at any moment. Wayne Dyer was certainly influenced more spiritually as he developed in his life and this may be the way as we start to approach the latter part of our years. His teachings become more spiritual in nature towards the end of his life. Transform – means to go beyond the limits of your body. The way you think and the way you speak. Become aware that there are no accidents in your life. Everything that shows up in your life has something to teach you. Make it a day of appreciation of everything and everyone hat you come into contact with, there is a reason they have showed up in your life. Within this you will find the solutions to your problems and your understanding will come from within in the silence and peace. Release everything that you think is impossible, examine all the doubts that you have and replace them with openness, release the impossible. 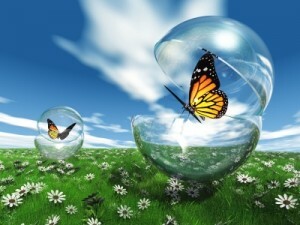 Remember that what you think about expands, use it to create the images of inner bliss to create your world. Your thoughts create your reality. Once your realise this you will be careful of what you think about. When you have the choice to be right or to be kind always chose kind. You have the choice in all of your daily interactions. Be kind it will transform your life more than anything else in your life. Give up your need to be right. Make an attempt to shift your career objections to that of a calling. Your life work will take on a dramatic shift and everything you do will be part of you calling and you will rid yourself of the negative.